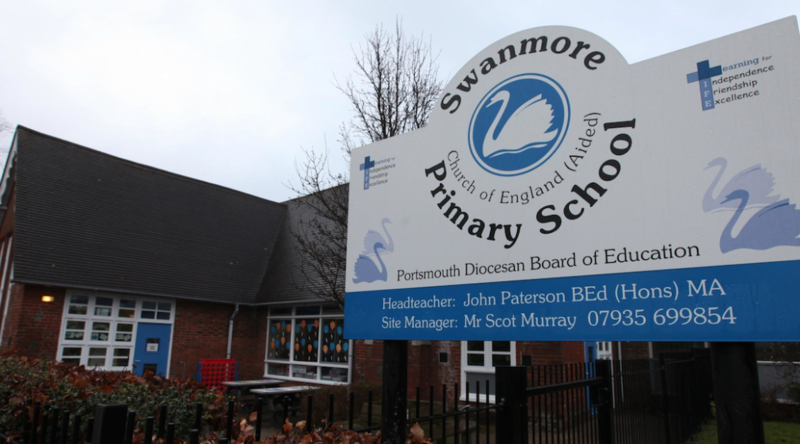 Swanmore Primary School is one of the best in the area. We are right across the road, and are everso popular before & after school dropoff time! Love Messy Church? Then the good news is that you will not have long to wait for the next one, because Messy Church is back on Good Friday. Doors open at 9.45 for a start at 10am. Not sure what Messy Church is? Well, this is lots of fun for the younger members of your family. It is next door to Barnaby’s in the Paterson Centre, and once you’ve been, that’s all your kids will every want to do! Note that Barnaby’s will be closed on Good Friday. How does Barnaby’s support my community? To apply to receive funding from Barnaby’s CDS, please go to barnabys.coffee/charity and complete a very short form. Our friends at Swanmore Sunday Club are putting on a rather fabulous Light Party for 3-12 year olds, and the tickets are now available at Barnaby’s. We know this one is going to be busy, because there will be singing, games, craft, food and fun! The theme is Bugs & Butterflies, with prizes for the best dressed. “Cuppa & Colour” is a fun way for your kids to get stuck in to a little bit of creativity in a lovely safe environment. All this week, Barnaby’s will have drawing ideas available for the U10’s, while you sit back and enjoy a nice velvety coffee and some free wifi! What will you do with your new found freedom? Read a book? Catch up with friends? Launch a new business? Either way, you’ll find drawings and pencils ready for little ones when you get here. Pin their creations up on the noticeboard to win a prize at the end of the week! We look forward to seeing you all. Our good friends at FOSPS (Friends of Swanmore Primary School) have confirmed that their annual Fireworks Night will be held on Friday 2nd November. This is always a popular evening, and a huge fundraiser for the school. Please ensure you save the date for the FOSPS Fireworks Night. Further details will be released closer to the time. Last year, the nation collected 100 million packs of LEGO cards in just six weeks, with online searches for the product soaring by 240%. Sainsbury’s will stop issuing their cards on 8th October, so come on in to Barnaby’s and swap your remaining cards with the ones we have in stock! Here is your last chance to get the full set! Post your photos on our Facebook page, and tag your friends to make sure they all know what you managed to swap. Kids back to school? House empty? Barnaby’s needs you! If you are a mum heading back to an empty house after dropping your children off at Swanmore Primary School for the first time, you may be interested to know that Barnaby’s needs you! Our fabulous community coffee shop is entirely run by volunteers, who help as little or as much as they can. If you are interested in learning how to make real coffee, or if you just fancy supporting your community by working an hour or two here or there (or even a full shift), we’d love to hear from you. Find out about volunteering at Barnaby’s by heading to barnabys.coffee/volunteer. Of course, if all you’d like is a lovely coffee after nervously dropping off your loved ones each morning, come on in! You’ll find a friendly welcome and homemade cake – a great combination. Barnaby’s will start a summer schedule of special opening hours this weekend. We kick off at 10am on Saturday 11th August, and thereafter will be open every Thursday and Friday afternoon and Saturday mornings until the schools go back. If you are a volunteer and wish to sign up for a shift, please log in and select your preferred shift today. We look forward to welcoming you all back, and to hearing about your summer holidays!